Science and Slime parties engage young minds with a combination of thrilling demonstrations, wacky experiments and plenty of hands-on activities. 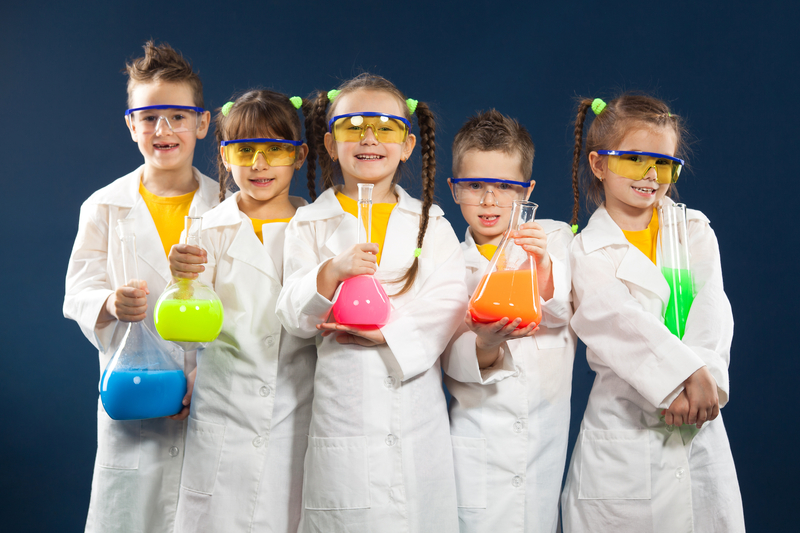 Many science party companies run age-related, interactive games so children can concoct exciting things such as gooey DIY slime, amazing bubbles and colour-changing potions. Enormous fun and educational too. Video game, console and coding parties bring birthday celebrations well into the 21st century, and have become hugely popular party options among boys and girls. 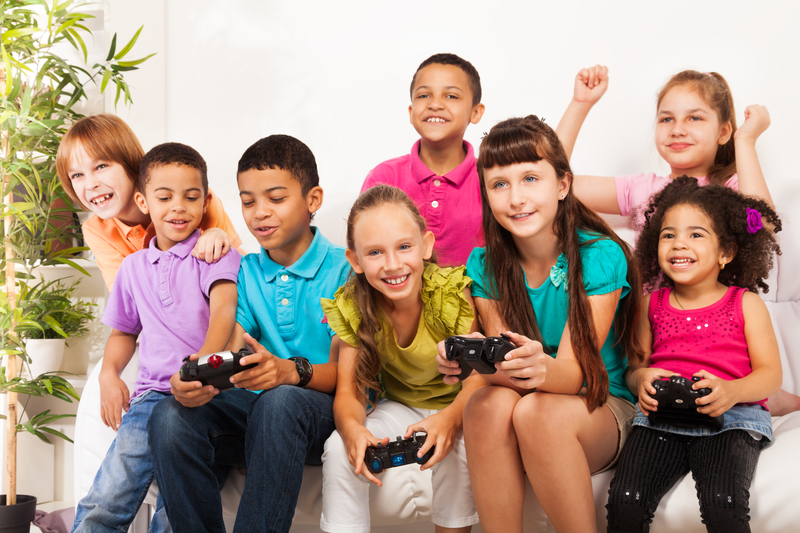 The games can be put into an inclusive multiplayer mode enabling youngsters to challenge each other in a fun way. The choice of games is vast – choose from singing and dancing games, or football and Minecraft games, for example. 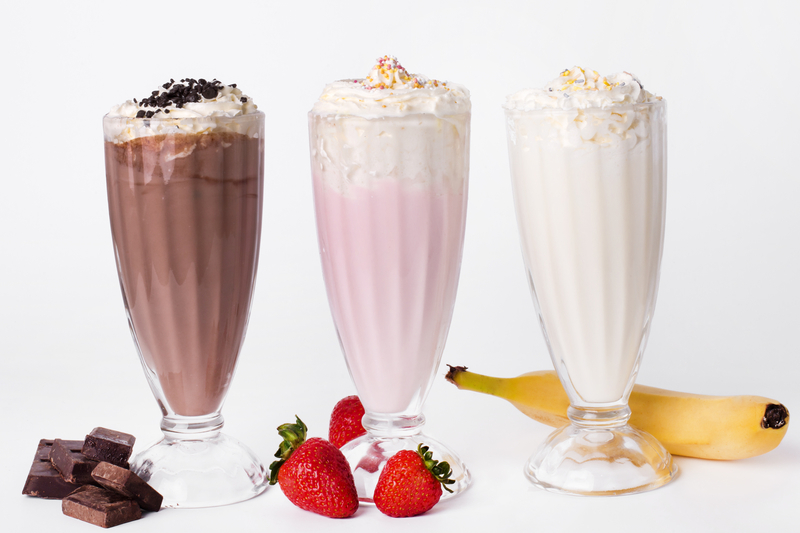 Ice-cream and milkshake parties offer a really appetising option, enabling guests to have fun concocting their own indulgent delicacy. Many family friendly cafes and venues provide this type of party where half the fun is consuming the final creation. Needless to say, this a great option for those on a budget, as the food is part of the package. Looking for the ultimate adrenaline packed kid’s birthday party experience? Street Motion Parkour/Freerunning is the action packed sport of jumping, climbing and flipping as seen in all the latest action movies and computer games. Suitable for total beginners as well as those who have done it before, Street Motion in Marsh Barton, Exeter, provide hours of high adrenaline activities guaranteed to entertain and inspire all who take part. For aged 6 years upward. Quote ‘Primary Times’ when ordering to receive a 15% discount. The friendly team at The Party Wiz simply love to party! 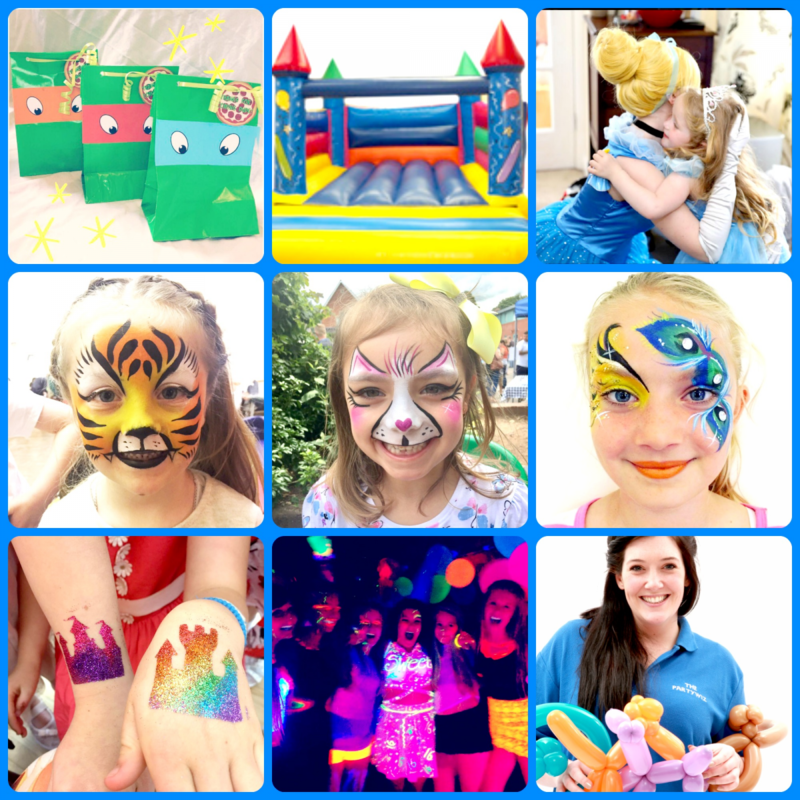 The Party Wiz provides all aspects of children’s party entertainment throughout Devon and beyond – from fantastic face painting, balloon twisting and mini disco’s - to princess visits, bouncy castles and themed children’s entertainment shows - the Party Wiz has it covered! This mobile party service covers the whole of Devon including Exeter, Plymouth and Torquay. They are looking forward to making your child’s next birthday party one to remember! Haven Banks Outdoor Education Centre, in Exeter, offers a wonderfully exhilarating birthday party experience. Run from its state-of-the-art facility on Exeter’s historic canal and riverside, the birthday child can choose from one of the many water or land based adventurous activity options. Plus, if your child is looking for some adventure during the school holiday, then there is a great range of activities on offer, each designed to teach new skills and build confidence. Birthday activities are most suited to ages 8 years and over. However, younger ages can be catered for if a parent is present. 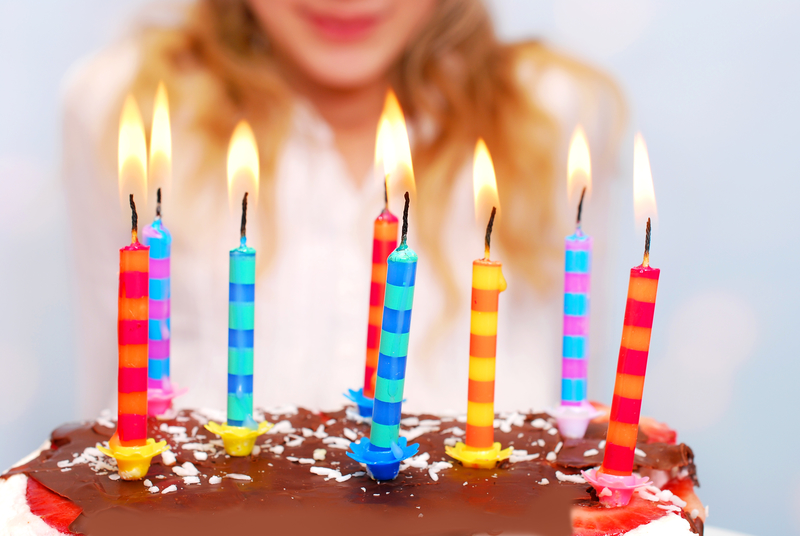 Celebrate a birthday at Teignbridge Leisure and enjoy 30% off when you book in March 2019. There are various party options available including pool parties, inflatable or bouncy castle parties, soft play parties, football parties and roller disco parties. Parties take place at: Newton Abbot Leisure Centre, Broadmeadow Sports Centre and Dawlish Leisure Centre. Make birthday memories at Crealy Adventure Park and Resort with one of its special birthday party packages. With a number of packages available, suited to all ages, celebrating birthdays at Crealy ensures an unforgettable experience. Do you want Buddy and Blossom Bear, animals, rides and non-stop fun at your birthday party? You will find it at Crealy Adventure Park and Resort. Every year, Crealy welcome birthday parties for all ages, from tiny tots through to those ‘landmark’ numbers, and right up to grandparents. You’re never too old to have fun on your birthday! Crealy offer venue hire too, so you are able to have exclusive access for your party. iBounce Trampoline Parks, in Exeter, Newton Abbot and Bodmin, offer the ultimate fitness experience, bringing all family members together with hours of bouncing fun. 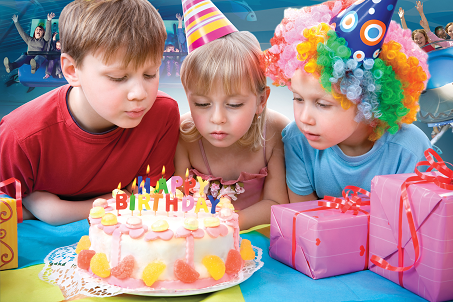 iBounce is a brilliant destination for birthday parties, with different party packages for you to choose from. Being an indoor attraction, it won't be ruined by the weather either – and is open all-year round. 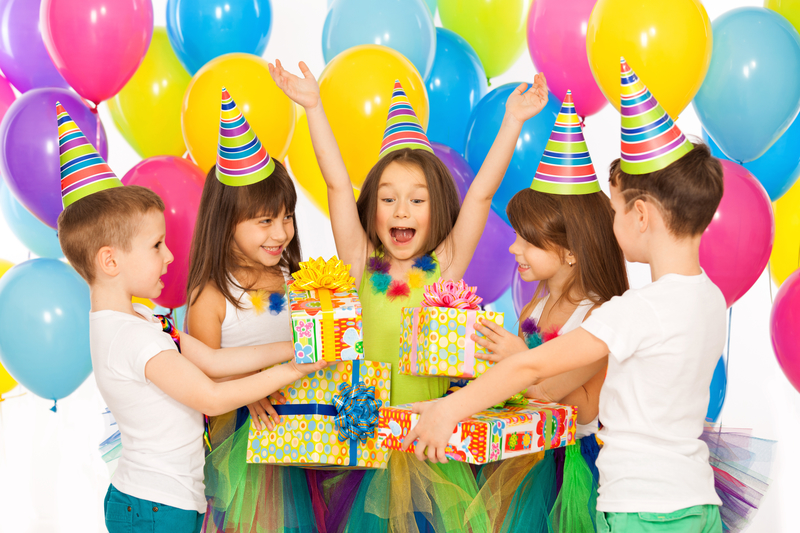 Parties are for children aged 5 years+ and include jump time; use of the party room; water and grip socks; an iBounce t-shirt and goody bag for the birthday child and a free revisit for the birthday child. All iBounce parks ensure a great source of exercise and fun for all ages. Book a fantastic, fun, stress free themed birthday party for a child aged from 3 to 12 years in the new gigantic Dinosaurus Playzone. Party rooms are bookable during the weekends in the winter months and every day once the park is open 7 days a week. There is a choice of themes: Unicorns, Minions, Frozen, and Dinosaurs, and a variety of packages are available. All party options include 2 hours of fun and food in the amazing soft play area. If you are looking for a party that is really different, great fun and hassle free then look no further than Go-Kart Party. Nathan and his team offer boys and girls of 4 -10 years an opportunity to drive battery powered go-karts around an inflatable circuit. The parties are fully hosted and fun games such as laser tag, cops and robbers, cone dodging, racing and reversing will give the children an experience they will never forget. Kart speeds and games are tailored to the age and ability of the kids. Available indoors in numerous leisure centres and sports halls across Devon, Go-Kart Party is accessible all year round at a venue near you. Give your child a birthday party to remember at The Bear Trail, Devon's award winning muddy assault course. Parties include all day entry to the trail, 27 obstacles and unlimited mud! Scramble over the bear nets, zip down the zip wire, swing over the hay bales and tackle Bear Mountain. Parties include a one hour reserved party area, free downloadable invites and stickers and free squash. 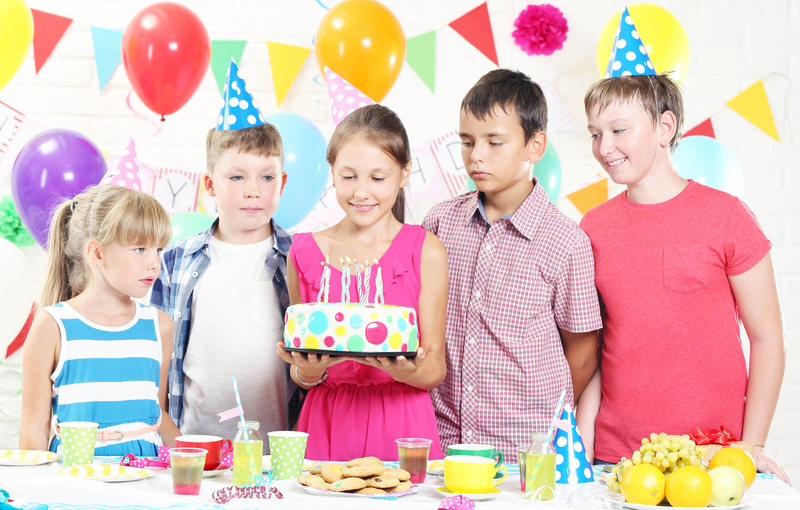 There are 3 party packages available with delicious food options and if you book a birthday party of more than 12, the birthday child goes free and gets a free return visit! If your child loves Star Wars and has daydreamed about being the Captain of the Starship Enterprise, then they will simply love a new business that has touched down on the Seale Hayne campus outside Newton Abbot. Local entertainment company, Hangar 7, has created the Rocket Room, where children are transported into an environment where they can become the crew of their very own star ship, battling aliens to survive in the depths of space. This is a perfect setting for parties, role play groups, and team building events for all ages. 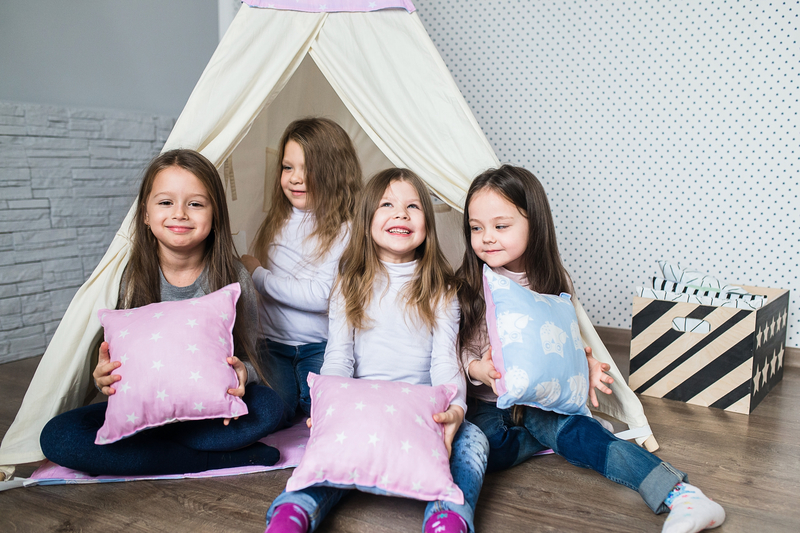 The ‘Waie2Play’ party package offers children 1½ hours of fun in the soft indoor play area before they settle down to some tasty food. There is also a swimming pool party option. You will be amazed at what you find at the Waie Inn. It is completely child friendly and has fantastic facilities such as an indoor heated swimming pool, an indoor soft play area (Waie2Play), an outdoor play area which includes an all-weather 5 a-side football pitch, zip wire, roundabout and lots more. The Sports Hall also available for hire. Part of the TLH Leisure Resort hotel group, Aztec Leisure is a stunning family leisure facility in the heart of Torquay with a large indoor games arena, 25m indoor pool, dance studio, bistro and more. Enjoy archery, 10 pin bowling, table tennis, snooker, pool, dance mats and lots more, as well as Aztec Soft Play for your little ones. Food and drink is served all day and entry is free. All ages can try a Dip ‘n’ Dine party with swimming fun in the indoor pool. Party meal options include traditional hot or cold buffet options served in either Aztec Games or the Aztec Bistro. Birthday parties are all about having fun and at World of Country Life, ‘Appy Angus and all his animal friends are on hand to make your child’s special day one they will never forget. The Party Package has so much included - the children can get up close to the animals in the Pet Centre, feed a lamb, walk a goat, take a ride on the Deer Train Safari to hand feed the deer and the llama, enjoy the Hawkridge Birds of Prey display, take in a show at the Barnyard Theatre and watch the hilarious ferret racing events. Once the children have built up an appetite, everyone can head over to the Pirate Ship Party Deck to enjoy a Birthday Party feast! If you are thinking of booking a calming and creative party – Honiton Pottery is a great place to go. Pottery painting is a fun experience that will give children a sense of pride and achievement. A typical party in the Honiton Pottery studio lasts for 2 hours, or 1 ½ hours for ‘younger’ children, and includes hot food or something tasty from the dessert menu such as ice cream sundaes, knickerbocker glories or pancakes and a tasty homemade milkshake – there are 70+ different flavours to choose from. Alternatively, there is a mobile painting party service where everything is delivered to your door or party venue. Cofton Holidays is an award-winning holiday park in south Devon and is an ideal location for a child’s birthday party. It boasts a fabulous heated indoor swimming pool with a fun splash pad and fountains to play under. After all the enjoyment in the pool, the party guests can choose a meal from the children’s menu and select a delicious ice-cream sundae too. Alternatively, there is a kids’ buffet option. Additionally, there is an engaging arcade featuring plenty of games for younger and older children, Bowlingo and two soft play areas for children up to 8 years old. Reach new heights on your birthday with a party at The Quay. Enjoy a one hour climbing taster or a Clip ‘n Climb session with your friends and feast on a celebration Pizza or traditional party menu prepared by its in house chef – all for just £19.95 per person. Make memories with Sciencedipity Science parties. Choose from its unique science themes - Magical Potions; Devine Slime; Crazy Chemistry; Roald Dahl or Beauty Science - to create a party that everyone will remember. At the parties, all guests experience brilliant hands-on science and with plenty of mementos to make and take home such as bottled dreams, skele-goo and bath bombs (depending on the theme chosen). Party bags can be sorted too. Fletcher Foxx Ltd is an Events Management company, comprising Foxx Consulting, Foxxy Crew and Fletcher Foxx Inflatables; providing affordable services and catering for a variety of events and functions. With food, music, entertainment, tableware, decorations, bouncy castles, games, toys and activities; there is something for everyone and every occasion. The Fletcher Foxx team can help you plan, organise, manage and market any event and you can even ask for mascot Fletcher to attend your function, event or party. Hop aboard a special tram for an unforgettable birthday experience at Seaton Tramway. Party packages include a return tram ride, party food, a Tramway goody bag for each child and the birthday child will receive a tram certificate and special gift. In the tram, there will be a special reserved seating area with party decorations waiting for the party guests and party food will be served to your table in the Garden Room at the Tramstop Café. Visit Torquay’s Dinosaur World for a birthday party to remember. With fun games and activities as well as dinosaurs to see and play with, it’s suitable for children aged 2 years+. Spend up to 2 hours roaming the dinosaur trail to see magnificent full size and scale dinosaurs, discover incredible fossils, and even sit on a deadly dinosaur. Plus, all party goers get a free mini bag of real fossils. Planet Play is a large indoor play centre based in Crediton that boasts a 2-storey, interactive and clean play area for children under 10 years. The multi-award winning play centre offers a great selection of locally sourced hot and cold food, cakes and drinks. It also offers amazing parties for your little ones. Check out the website for more information. Birthday party packages at Pecorama include two hours play in the fabulous indoor play station and the birthday lunch or tea. Party options cover the soft play, pirates, princes and princesses’ themes. During the winter months, parties last for up to 2 hours in the Play Station followed by the birthday meal in the Garden Room Restaurant with party hats, balloons and a small gift for the birthday child. It’s play time all the time at the Bear Feet Play Centres, the fantastic play centres in Newton Abbot and Exeter. Bear Feet boasts an amazing 8000 square feet of pure fun, packed full of ball pools, slides, and even a ball volcano, it really is the most fun your children can have with their socks on. Bear Feet also offers an individual party experience that is both unique and stress free. Two-hour parties include, a choice of hot or cold food, unlimited jugs of squash, dessert, reserved seating for adults, and a birthday card and a gift for the birthday child. That’s why its play time all the time at Bear Feet Play Centre! You’ve waited all year and now it’s finally here…it’s Party Time at Seaton Jurassic! What better way to celebrate than with a Jurassic Children’s Birthday Party? Become time travellers, adventurers, explorers and fossil finders. Party packages include a special tour of the exhibition, two fun activities, a birthday tea, balloons, party bags and a birthday cake. All activities will be led by a member of the Seaton Jurassic Events Team. Party with a pony at The Miniature Pony Centre, a great place for fantastic birthdays! Enjoy pony rides, fun activities, a delicious birthday tea, have the party room all to yourselves and more. 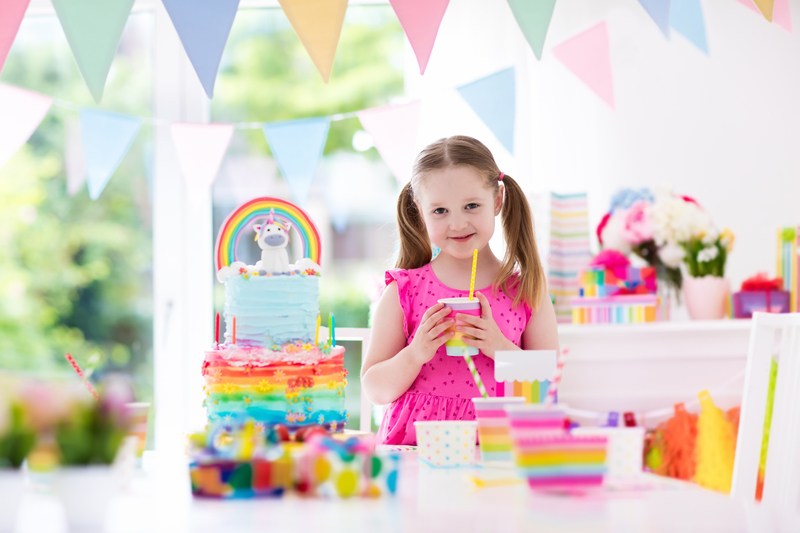 Customise your party experience to suit your exact requirements – for example, the children could meet the resident unicorn or even have a meet and greet with a My Little Pony Character. For a stress-free birthday party why not arrange your child’s birthday party at The Miniature Pony Centre, at Wormhill Farm, TQ13 8RG. Take your tribe for a cave explorer's birthday party at Kents Cavern. Grab your explorers’ helmet and head underground with your enthusiastic and entertaining guide who will take you on journey of adventure, history and excitement. Afterwards, head for lunch in Firestone Kitchen, but make sure you save some room for ice cream. Finally, dig around for gemstones to take home and meet the mascot Cavog. Prices are £14pp, weekends only. Come rain or shine, kids just love soft play. Whether they’re zipping through chutes, climbing up ladders or taking aim in the ball pit, it’s a day full of fun and adventure. Ocean Exmouth is home to three-storeys of thrilling (but safe) family fun. Don’t worry, there’s a great café for the adults too. Search ‘Ocean Exmouth Soft Play’ for more information, discounts and membership details. Have an activity fuelled birthday party at the River Dart Country Park – it’s a fabulous place to spend your child's birthday. The great value party package includes park entry and access to the adventure playgrounds for the day and is available with a choice of fantastic meals including plated options, a pizza buffet or carvery and jugs of blackcurrant and orange squash. Party Pieces is an established and much-loved company run by drama graduate and actress Ruth Lawrence. Ruth has drawn on her wide experience to devise an original formula for party entertainment aimed at children from 3 to 10 years, where she and the children bring different stories to life through imaginative play; music and dance; themed games; dressing-up and face painting; puppets and prop-making; treasure hunts, parachute games and much more. Schools and pre-schools love Party Pieces too. Party Pieces will enthral and amuse, captivate and charm. You can relax and the party will be one to remember! Pocketwatch Theatre Company is a fun and flexible company specialising in interactive theatre, walkabout characters, school workshops, parties and festivals. Its themes include Pirates, Mermaids, Wonderland, Willy Wonka, Knights and Dragons, Fairytales, Kings and Queens, Faerie Folk, Robin Hood, Halloween, Mad Science, Science Fiction, Mr Grinch, Wind in the Willows, Wizards and Potion School...the list goes on! The Pocketwatch team and Jonty Depp are open to commissions. Check the website and Facebook for February half term shows and all events this year. The Riviera International Centre (RICC) in Torquay has rooms and halls of all sizes that are perfect for any type of celebration, as well as its Waves Leisure Pool for big, small or exclusive swim parties. Its pool party package offers great value for money and is designed to offer stress free party planning. There is always a card and gift for the birthday child, a choice of hot or cold food, ice lolly, party invitations, free adult swims for every 2 children and a selection of extras including party bags. There are private pool hire packages too starting from £160 for exclusive use of the pool, waves and flume. 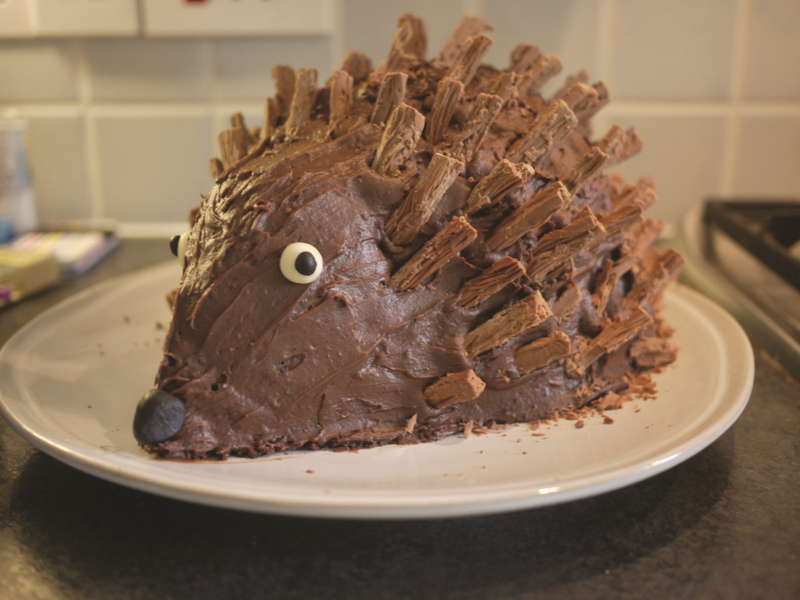 Enjoy the ultimate woodland adventure birthday party with the Outdoors Group in Exeter or Exmouth. What better way to spend a party than in the great outdoors, under the tree canopy, fire lighting, building dens, playing games, toasting marshmallows, eating hot dogs and of course enjoying birthday cake. Enjoy an unforgettable birthday party at Woodlands Family Theme Park whatever the weather. Parties are bookable every day when Woodlands is open and include a full day of fun in the family theme park, a themed birthday party room, free admission for adults, a choice of 9 hot meals, ice lolly and drink. All children will receive a free balloon and the birthday child will get a free gift card. With 11 play-zones, fun and entertainment is guaranteed!